Last fall, I had the opportunity to attend Beth-El Congregation’s religious school opening. At the time, the synagogue’s education director, Ilana Knust, spoke passionately about the need for Jewish children to understand their roots in America, the topic around which the 2012-2013 religious school curriculum is based. 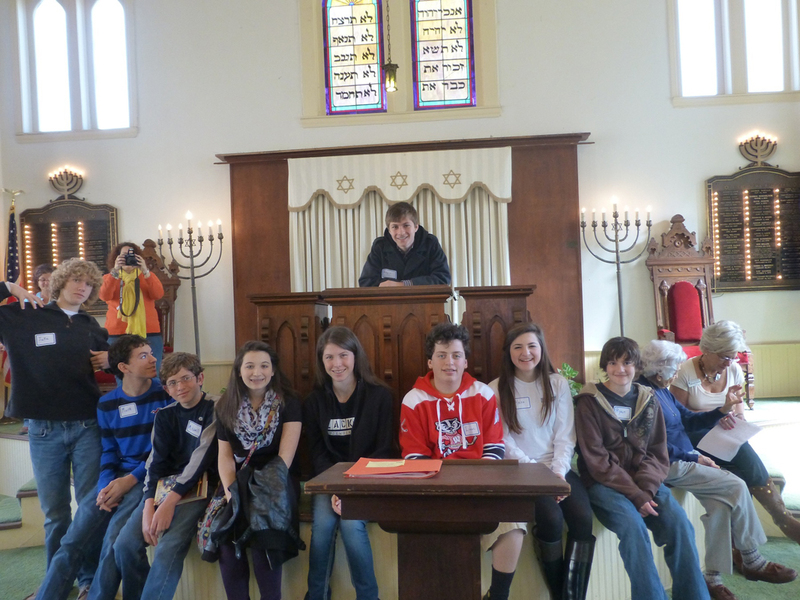 In recent weeks, Ilana took the children to visit the historic Temple Beth El in Corsicana. Though the Jewish population in Corsicana has sadly dwindled, the Beth-El students did meet and chat with Babette Samuels (age 85), who filled them in on some of the interesting history of Jews in east Texas. The synagogue building itself is also something to see, given its unusual architecture and the fact that it has been designated a national historic landmark. “As this is part of our religious school theme this year, we looked into the story of how groups of Jews believed in America’s promises of freedom, tested their limits and expanded America’s horizon,” Knust explained. In addition to visiting the synagogue, the students also saw the Corsicana Hebrew Cemetery (established in 1875), where historian Hollace Weiner shared stories about the first Jewish settlers in Texas. Debbie (Stryer) Levine and husband Larry Levine just returned from what seems like a really cool trip — a weeklong vacation in St. Augustine, Fla. While there, they spent time with friends in Sebastian, Fla. Also on the agenda was a lot of sightseeing, eating and walks on the beach. “It was definitely a good time,” Debbie writes. Alton Silver BBG has a deal for you. Seriously, this organization needs an adult adviser who can help oversee and schedule one or two activities per month and help the girls plan such activities. You won’t be going it alone, either — the Fort Worth chapter is part of the North Texas/Oklahoma region. The regional office will assist you with support and training. If you’re interested, contact Angie Kitzman at the Jewish Federation of Fort Worth and Tarrant County at 817-569-0892 or a.kitzman@tarrantfederation.org. Jewish Women International will meet at 9:30 a.m. Wednesday, March 6 at Beth-El Congregation, 4900 Briarhaven in Fort Worth. Do you have great photos? Have you done cool things recently? If so, send that news along to me at awsorter@yahoo.com.